The Onkyo TX-RZ920 will fill your living room with thrilling home theater sound. The Onkyo TX-RZ920 will fill your living room with thrilling home theater sound. This receiver's high-powered amplifier, anchored by a massive transformer, gives you clean, powerful sound so you can crank up the volume and feel every single effect. THX® Certified Select™ certification ensures spot-on, distortion-free reproduction of movie soundtracks. You'll enjoy stunning 4K picture quality with compatible Ultra HD TVs and Blu-ray players. Dolby Atmos and DTS:X provide multidimensional surround sound for a theater-like experience in your living room. Onkyo's premium RZ Series home theater receivers deliver music and movie soundtracks with dynamism, detail, and accuracy. The 'RZ920 is constructed with quality components like large custom capacitors for consistently great sound throughout the frequency range, and discrete non-phase shift amp circuits for a clearly focused audio image and reduced distortion even at high volume levels. Premium 32-bit/384kHz digital-to-analog converters on the front left and right channels give you crystal-clear reproduction of music, TV, and movie soundtracks. Dynamic Audio Amplification delivers massive power with low distortion for thrilling movie sound effects. Phase-matching Bass Enhancement lets you enjoy deep, satisfying low-frequency effects while vocals and dialogue remain clear. Built-in Wi-Fi lets you access the music you have stored on your networked computer so you can easily play tracks from your personal library through the 'RZ920. Chromecast built-in lets you use your computer, phone, or tablet to stream music from over 100 audio apps to the receiver. And DTS Play-Fi® lets you set up a wireless multi-room music system with compatible wireless speakers. The 'RZ920 has outputs for eleven speakers, allowing for flexible speaker configurations (receiver can power a maximum of nine speakers at once). You can use the receiver's powered Zone 2 outputs to connect a pair of speakers for stereo sound in up to two additional rooms, and still enjoy 7.2- or 5.2-channel surround sound in your living room. You can also connect a stereo receiver or amplifier through line-level Zone 2 and Zone 3 connections and use the 'RZ920 as a preamp, for full 9.2-channel surround sound in your home theater. A Zone 2 HDMI output lets you watch video from two different sources in your living room and a second room. Use the Onkyo Controller app to control playback in different zones from anywhere in the house. The 'RZ920 is also compatible with Roon, a subscription digital music player you download to your smartphone, tablet, or computer. It gives you multi-room audio playback for all your Chromecast-compatible devices and more. Roon accesses your digital music collection from your iTunes library or NAS drive. It also works with your TIDAL subscription. Roon lets you do deep dives into your music, showing artist bios, photos, reviews, and lyrics. Roon can also suggest other artists and songs based on your selections, making it easy to discover new music you'll enjoy. Easy setup, tons of features. Another great product from Onkyo. Atmos sound is the only way to go. Dynamic Audio Amplification: The TX-RZ920 AV receiver features Onkyo's Dynamic Audio Amplification with a 9-channel amplifier rated at 135 watts (into 8-ohms, at 1kHz, with 0.08%, driving 2 channels). Onkyo's new Dynamic Audio Amplification technology incorporates a Hi-Current, non-phase shift amplifier design with discrete output stage circuitry and customized high current capacitors with a massive transformer capable of driving 4-16Ω speakers with dynamic control, while producing clear, detailed sound. Customized High-Current Capacitors & Massive Transformer: To supply the current needed to respond instantly to dynamic changes in the signal, Onkyo employs a fully customized massive transformer and huge audio-grade capacitors. Even at high volume, the TX-RZ920 never feels strained or unbalanced by complex musical passages or dynamic movie soundtracks. Independent Block Construction: The AV receiver's power amplifier and preamplifier sections are separated inside the receiver's chassis to minimize interference and eliminate distortion. 5.1.2ch Bi-Amp: Assigns all nine amplifiers of the receiver to the Main Zone with the front speakers bi-amped. The 5.1.2ch speaker system will consists of Front, Center, Surround, & Dolby Atmos speakers (Surround Back speakers not available in this mode). In this mode, Zone 2 and Zone 3 must be powered by a separate amplifier. 5.1.2ch + Zone 2 or Zone 3: The nine amplifier channels of the receiver are assigned to power a 5.1.2ch speaker system in the Main Zone and stereo speakers in either Zone 2 or Zone 3 (not both). The 5.1.2ch speaker system will consists of Front, Center, Surround, & Dolby Atmos speakers (Surround Back speaker are not available in this mode). 5.1.4Ch: The nine amplifier channels of the receiver are assigned to power a 5.2.4ch speaker system in the Main Zone. The 5.1.2ch speaker system will consists of Front, Center, Surround, & two sets of Dolby Atmos speakers. In this mode, Zone 2 and Zone 3 must be powered by a separate amplifier. 7.1.2Ch + Bi-Amp: Assigns all nine amplifiers of the receiver to the Main Zone with the front speakers bi-amped. The receiver's amplifier will power the Front, Center, Surround, & Surround Back speakers; while the Dolby Atmos speakers are powered by a separate amplifier. In this mode, Zone 2 and Zone 3 must be powered by a separate amplifier. 7.1.2Ch + Zone 2: In this configuration the receiver's nine channel amplifier powers the Front, Center, Surround, & Surround Back speakers in the Main Zone (the Dolby Atmos speakers are powered by a separate amp); while also powering a pair of speakers in Zone 2. 7.1.4Ch: In this configuration the receiver's nine channel amplifier powers the Front, Center, Surround, and two sets of Dolby Atmos speakers in the Main Zone, while the Surround Back speakers of the Main Zone are powered by a separate amplifier. Zone 2 and Zone 3 must be powered by separate amps. 7Ch Bi-Amp: Assigns all nine amplifiers of the receiver to the Main Zone with the front speakers bi-amped. The 7ch speaker system will consists of Front, Center, Surround, and Surround Back. In this mode, Zone 2 and Zone 3 must be powered by a separate amplifier. 7Ch + Zone 2 or Zone 3: The nine amplifier channels of the receiver are assigned to power a 7ch speaker system in the Main Zone and stereo speakers in either Zone 2 or Zone 3 (not both). The 7ch speaker system will consists of Front, Center, Surround, and Surround Back. 5Ch Bi-Amp + Zone 2: Assigns seven amplifiers of the receiver to the Main Zone with the front speakers bi-amped and two amplifier channels assigned to Zone 2 to power a pair of speakers in another room. The 5ch speaker system will consists of Front, Center, and Surround (Surround Back speaker channels are not available in this mode). This amplifier configuration is not compatible with Dolby Atmos or DTS:X. 5Ch + Zone 2/3: Assigns five amplifier channels to the main zone for 5ch playback and four amplifiers to Zone 2 and Zone 3 for stereo playback in each zone. The 5ch speaker system will consists of Front, Center, and Surround (the receiver's Surround Back and Height amplifier channels are reassigned to power both Zone 2 and Zone 3). 384kHz/32-Bit Hi-Grade DAC: The Onkyo TX-RZ920 utilizes one premium-quality AK4458 digital-to-analog converter from Asahi Kasei for all channels. This 384kHz/32-bit DAC implements unique low-distortion filtering technologies for clear sound, and unlocks the full potential of any audio format, including compressed, lossless, and hi-res audio (MP3, WMA, WMA Lossless, FLAC, WAV, OggVorbis, AAC, Apple Lossless, DSD 5.6 MHz, LPCM, and Dolby TrueHD). 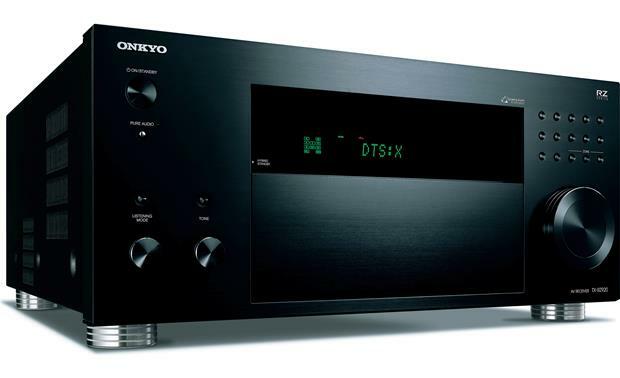 Dual 32-Bit DSP Engines: The Onkyo TX-RZ920 AV receiver employs powerful and highly accurate 32-bit DSP (Digital Signal Processor) engines for better surround sound reproduction. Immersive Surround Sound: The Onkyo TX-RZ920 AV receiver goes beyond regular surround with the latest immersive surround sound formats, including Dolby Atmos, Dolby Surround, DTS:X, & DTS Neural:X.
Dolby Atmos: The Onkyo AV receiver will enhance properly designed systems with Dolby Atmos where sound comes alive from all directions, including overhead, to fill the home theater with astonishing clarity, power, detail and depth. The TX-RZ920 has the processing power to run a more enveloping 7ch or 9ch Dolby Atmos layout using 5.1.2, 5.1.4, 7.1.2, or 7.1.4* configurations utilizing ceiling mounted, or Dolby Atmos-enabled speakers (sold separately). *A 7.1.4 configuration requires an additional power amplifier to power the Surround Back speakers. Dolby Surround: Dolby Surround offers an enhanced cinema experience to your 2ch and multichannel movie soundtracks using your existing 5.2ch, 7.2ch or Dolby Atmos speaker setup. Dolby Surround enhances audio definition by improving the spatial dimension and overall audio definition of movie soundtracks. It does this by using four distinct surround zones that provide greater control over the exact placement of each detail in a movie sound track, so audio can be matched more accurately to the video on screen; this means more depth and greater realism for your movies. As a result, individual sounds are clearer and more distinct. It also improves the surround sound experience across the entire theater by widening the listening "sweet spot". 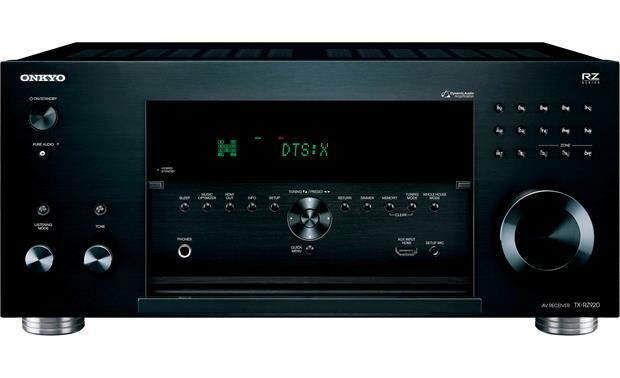 Audiophile Listening Modes: The Onkyo TX-RZ920 offers two audiophile listening modes which bypass the receiver's tone & DSP processing for higher sound quality performance. In Direct mode, audio from the input source is output without surround-sound processing. This mode delivers pure sound with minimum sound quality adjustment and filtration. In Pure Audio mode, the display and video circuitry are turned off, minimizing possible noise sources for the ultimate in high-fidelity audio reproduction. Audio Enhancements: The Onkyo TX-RZ920 receiver provides various audio enhancements to deliver a high-quality listening experience every time. Analog Audio Outputs: The Onkyo TX-RZ920 is outfitted with the following analog audio outputs. Binding-Post Speaker Terminals: There are binding-post terminals for all speaker connections - Front, Center, Surround, Surround Back, Height 1, and Height 2. The binding post terminals will accept bare-wire, pin-connectors, and banana plugs (single only). Use 4- to 16-ohm speakers. 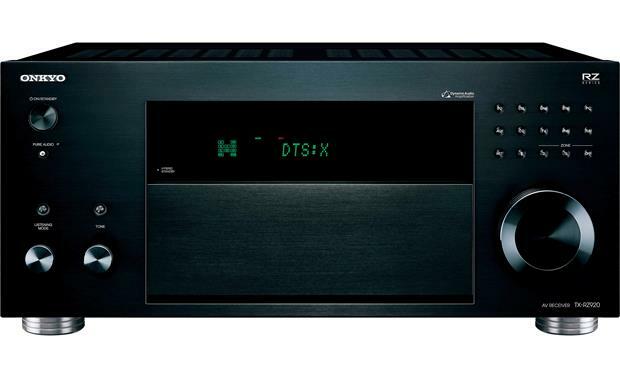 11.2ch Pre-Outs: The Onkyo TX-RZ920 features 1.2ch pre-outs (Front, Center, Surround, Surround Back, Height 1, Height 2, and Dual Subwoofer) for connection of an external power amplifier. The pre-outs are variable. The dual sub outputs are discrete. 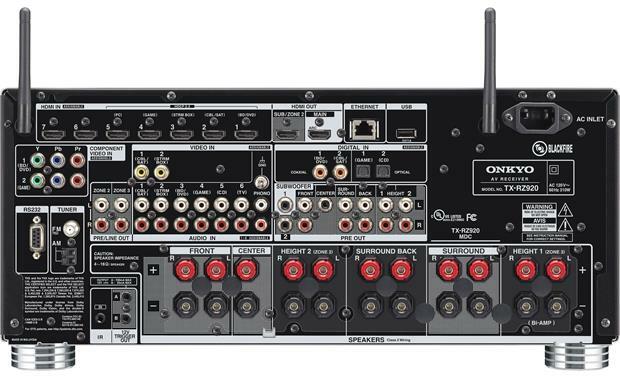 HDMI 2.0a: The Onkyo TX-RZ920 has eight HDMI 2.0a inputs (7 rear/1 front) and dual HDMI 2.0a outputs. Thanks to the latest HDMI 2.0a specification, the receiver can support 4K/60 Hz Ultra-HD video, HDCP 2.2 compatibility, 4:4:4 color sub-sampling, High Dynamic Range (HDR), and BT.2020 Wide Color Gamut. 4K/60Hz: The TX-RZ920 supports up to 4K (3840x2160 pixels) video @ 60 frames per second on all of its HDMI inputs and outputs. It will also pass a 480p, 920p, 1080i, or 1080p video signals via HDMI (not compatible with 480i video signals). HDCP 2.2: The receivers HDMI 1-5 inputs and HDMI outputs support HDCP 2.2, which fully complies with the latest copyright protection standard for 4K video transmission. HDMI 6-8 inputs only support HDCP 1.4. 4:4:4 Color Subsampling: The receiver's HDMI inputs and HDMI monitor output support RGB, YCbCr 4:4:4, YCbCr 4:2:2, and YCbCr 4:2:0 color subsampling (@ 60Hz or 50Hz). With 4:4:4 color subsampling, luminance (brightness) and chroma (color) are sampled at the same rate; resulting in an RGB color palette as big as the video sampling rate for a video image with more colors, plus greater color accuracy and detail. HDMI inputs 6-8 only support 4K 60/50Hz @ YCbCr 4:2:0. Other HDMI Features: The TX-RZ920 AV receiver's HDMI connectivity also offers 3D video pass-through, ARC (Audio Return Channel), Deep Color & x.v. Color support, as well as an auto LipSync function. Wired or Wireless Network Connection: The Onkyo TX-RZ920 AV receiver supports a wired Ethernet (RJ-45) or wireless WiFi (802.11 a/b/g/n; 2.4/5GHz) network connection. Via the AV receiver's network connection, you can enjoy music files stored on your computer and listen to internet radio through a variety of online music services. Built-in Online Music Services: The Onkyo TX-RZ920 offers several built-in internet radio & online music services through its wired or wireless network connection. Note: Make sure the TX-RZ920 has the latest firmware/software update installed. Built-in Bluetooth: The Onkyo TX-RZ920 features built-in Bluetooth (version 4.1+LE) with support for profiles A2DP 1.2 and AVRCP 1.3. You'll be able to wirelessly stream stored music and music apps from your Bluetooth-enabled Apple iPod/iPhone/iPad, Android smartphone/tablet, Windows Phone/PC, & Mac laptop/computer, as well as other Bluetooth compatible devices to the Onkyo receiver. SBC + AAC Codecs: In addition to support for the standard SBC Bluetooth audio codec, the TX-RZ920 offers support of AAC. By supporting AAC, the receiver offers better audio performance of the music streamed from your Apple iPod, iPhone, or iPad. HDMI Zone 2: The Onkyo TX-RZ920 AV receiver provides a Zone 2 HDMI output, so two different HDMI audio/video feeds can be sent to two different displays at the same time directly from the receiver (HDMI 1-3 connected input sources only). HDMI Zone 2 will output up to 4K video and 2-channel audio for the HDMI input source selected. Video will be output at the highest resolution supported by both TVs. If you have the same HDMI source playing back in the main room and Zone 2, then the main room is also limited to 2ch PCM audio. Zone 2 (Audio Only): In addition to the main listening room, you can also enjoy audio playback from a different source in another room of your home using the receiver's Zone 2 function. The receiver features Zone 2 line-outputs, as well as Zone 2 speaker outputs. You can play the same audio source in both Zones (Main & Zone 2) or play a different audio source in each zone. Zone 2 is compatible with analog, digital, and wireless audio sources - see below for details. Line-Level Outputs: By using the line-level outputs on the TX-RZ920 you can connect an external receiver or integrated amplifier in a second room, allowing you to listen to 9.1ch surround in the main room and play a different audio source in another room of your home. The volume of Zone 2 will be controlled from the TX-RZ920 or your add-on integrated amplifier/receiver. Speaker Level Outputs: By using theses speaker-level outputs on the TX-RZ920, you can directly connect a pair of speakers in another room of your home, allowing you to listen to 7.1ch surround sound in your main room and play a different audio source in the other room. It is able to do this by reassigning the receiver's Height amplifier channels to power the Zone 2 speakers. The volume of Zone 2 is controlled from the receiver. 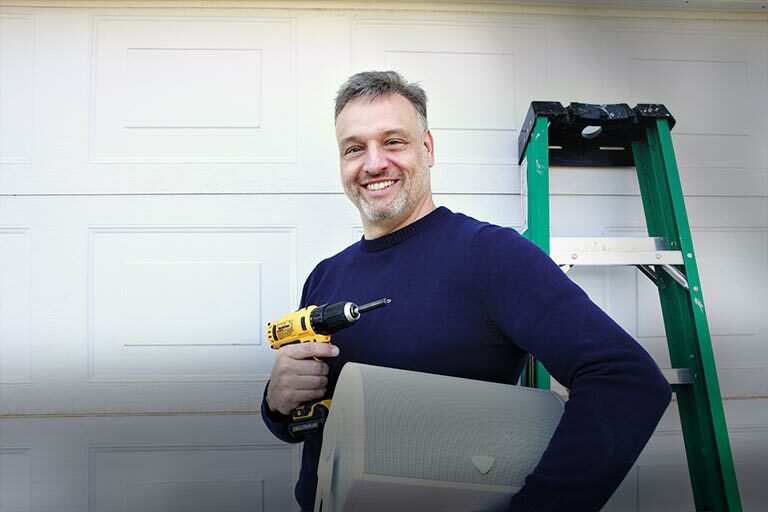 Zone 3 (Audio Only): In addition to Zone 2, you can also enjoy audio playback from a different source in a third room of your home using the receiver's Zone 3 function. The receiver features Zone 3 line-outputs, as well as Zone 3 speaker outputs. You can play the same audio source in all Zones (Main, Zone 2, & Zone 3) or play a different audio source in each zone. Line-Level Outputs: By using the line-level outputs on the TX-RZ920 you can connect an external receiver or integrated amplifier in a second room, allowing you to listen to 9.1ch surround in the main room and play a different audio source in the Main Zone and Zone 2. The volume of Zone 3 will be controlled from the TX-RZ920 or your add-on integrated amplifier/receiver. Speaker Level Outputs: By using theses speaker-level outputs on the TX-RZ920, you can directly connect a pair of speakers in a third room of your home, allowing you to listen to 5.1ch surround sound in your main room and play different audio source in Zone 2 and Zone 3. It is able to do this by reassigning the receiver's Height amplifier channels to power the Zone 3 speakers. The volume of Zone 2 is controlled from the receiver. Note: All DTS Play-Fi enabled products work seamlessly together, so there's no hassle adding more components, or choosing more than one audio brand like Klipsch, Martin Logan, Definitive Technology, Polk Audio, Phorus, Wren, etc..) in your home. HDMI Control: This function allows HDMI-CEC compatible components or RIHD-compatible components connected via HDMI to be controlled with the TX-RZ920. The AV receiver offers the following HDMI-CEC controls. Control & Custom Integration: The TX-RZ920 includes system integration connectivity such as RS232 with support for 2-way communication with 3rd party home automation systems. An infrared (IR) input allows pass-through of IR signals to control other devices connected to the TX-RZ920, such as a TV or Blu-ray player. Dual 12-volt trigger outputs can be used to raise/lower a projection screen, power on/off an external amplifier or open/close the drapes with the touch of a button. Can I use the receiver to run a 5 1 theater system plus 2 speakers in 2 separate rooms ?